On Monday there was no snow. If the anticipated snow arrives on the weekend, Summit is expected to run next week. Once again the working bee brought a dusting of snow to inspire us in our efforts to get the lodge ready. 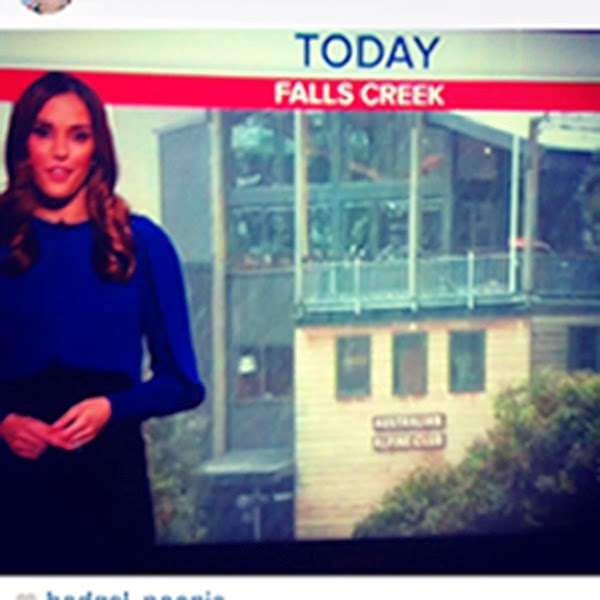 The lodge even featured on the News that night. Working Bee is a great way to get to know other club members better, to feel more a part of the club and to make an important contribution to keeping our lodge so good. It is held (almost always) on the first weekend in May. Room 5 has had a make-over. It is our only room with twin beds, which is just what some people need. However the lack of storage has been a real issue for many. Not any more. The beds have been replaced with new beds that include huge under-bed drawers. There is also a big new storage unit, and a high shelf for bags. A new rail for hanging is planned too. The heater has even been moved away from the bed. Thanks to Justin and Andrew for making it happen and John B for the ideas to get things moving. The club now has a Nespresso coffee machine for those who prefer an expresso style rather than the drip coffee. You will need to bring your own pods if you want to use it. They need to be Nespresso brand or a compatible style. Piazza D'Oro is a compatible brand stocked by Foodworks at Falls Creek, although choosy coffee-aholics (like me) will probably prefer Nespresso. The drip coffee maker is still available and coffee for it is provided by the club. Please take a moment to read the instructions on the wall above the machine. It works a little differently to many popular machines. In particular, you have to choose the length of shot before putting in the pod. One of the barriers to getting an expresso machine has been concern about cleaning and care of the machine. This style of machine has been chosen because it needs little care. To minimise cleaning, there is no milk frother. Please look after the machine including emptying the trays and flushing. Andrew has made a simple bird feeder that is suspended outwards from the balcony rail. This means we can enjoy feeding our beautiful feathered friends without inviting them onto surfaces used for food. It should also minimise mess from husks falling onto the balcony. Beautiful as they are, native birds carry some diseases that are pretty nasty in humans. Please use the new feeder and not the table or barbecue. An audit of the ski locker was conducted during the working bee and some equipment was identified that was un-named and/or un-bagged. Older skis that might have been abandoned were also identified. Ski locker space is limited. There is no room for abandoned, un-named and un-bagged equipment and these may be removed at the manager's discretion. The committee has determined that it will not be necessary for everyone to remove equipment at the end of the season, at least at this stage. However old equipment that is no longer in use must be removed. 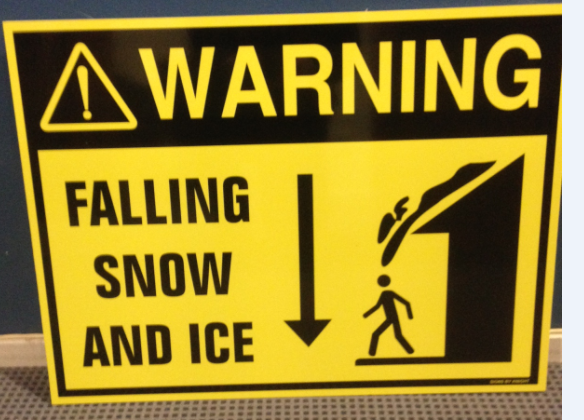 The tragedy at Mt Buller this week is a shocking reminder of the need to be careful around buildings in the snow. When there are heavy snowfalls it is inevitable that there will be snow sliding off roofs. Keep clear of the edges of buildings; look up to see if there is a threatening overhang or giant icicle before walking past; teach you children and guests not to play in the danger zone. This season FCRM has engaged a private contractor (4Site) to operate car parking, accommodation transfer, freight, shuttles, snow-clearing, cleaning of public buildings and enforcement (eg parking infringements). This has brought some changes to car parking and ATS (oversnow). If you are intending to arrive late it would be prudent to check with ATS on 5758 120. Attended car parking closes at 6pm Mon-Thur. There are a number of late-arrival spots below the ATS terminal where you can park on your first night until 10:30am the next morning. If you have not purchased your entry permit on-line you will need to purchase the next day. When there is no snow in the village there will not be guaranteed transfer from ATS to lodges after you have been parked. You will be parked and then returned to the ATS terminal.There may be limited ATS services for dropping guests at lodges (and vice versa) via shuttle buses. There will be no fees for these services, however they will be scheduled based on demand levels. Of course you have the option of riding up Gully chair if it is within lift hours. There are also changes (reductions?) in the day parking spaces. Mon-Thur ATS closes at 8pm. If you arrive after this you will be walking up. Hours of operation are 8am to 8pm Monday to Thursday, 8am to midnight Friday, 8am to 10pm on Saturday and 7.30am to 10pm on Sunday.